Cello now has his own page, which will have quicker updates that will probably end up compiled/expanded on here. We’ve had an Aussie saddle on trial for a few days. I think I like it, not quite sure. I think I’m going to buy it (it’s a steal) and then if I don’t like it down the road I’ll sell it on Craigslist. This saddle is a bit wide on him, only a little, but with the Correcta pad I think it will fit great. It puts me in a bit of a chair seat, which I very much dislike with my hunter jumper/dressage background, but I feel like it’s a good alternative to my eventing saddle. I think I need to lengthen my stirrups a bit and get used to that again, it should free up my leg a lot with how the seat is put together. I definitely can use it when I take Cello to play with some cows (more on that later.) I’m really stable in it, and I think it will be a good asset when Cello is ready to start lessons up. I’ll do a more intensive post soon! 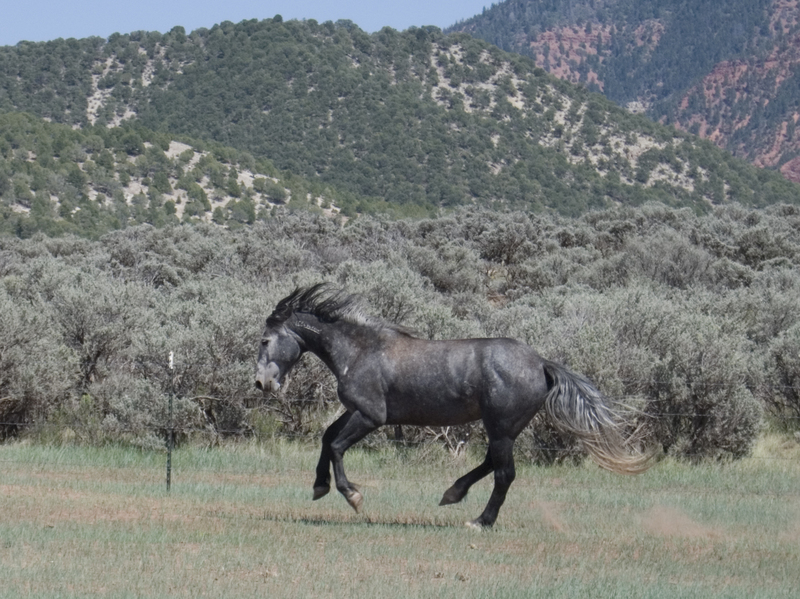 This entry was posted in New Things/Breakthroughs and tagged Blm mustang, Cello, Dani Neumann, Extreme Mustang Makeover, skylark therapeutic riding, wild horse project. Bookmark the permalink.